​They capture the perfumed, silky-textured character of Nebbiolo with great transparency, and are among the most sophisticated wines from the region. Mamete himself is a dedicated ambassador for the region, as President of the Consorzio. 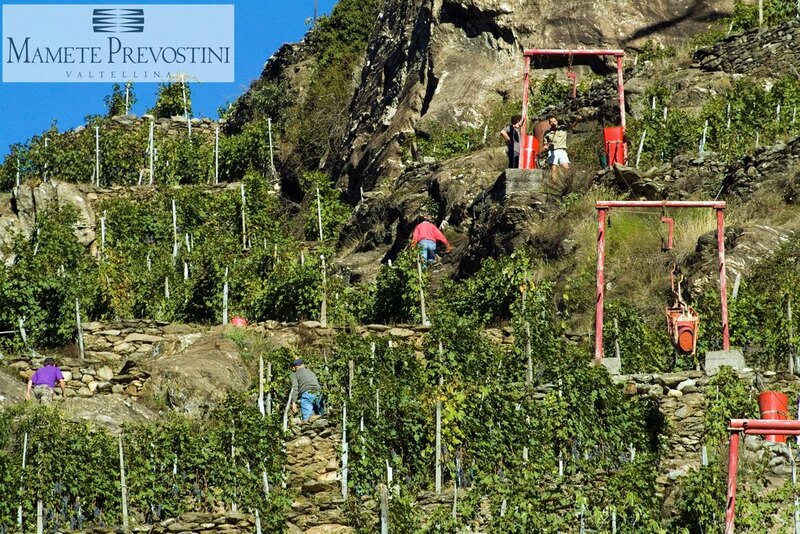 He recently completed construction of a brand new cellar located in the heart of the Valtellina. The location adjacent to the vineyards is not only picturesque, but also allows the grapes to make just a quick trip from vineyard to tank during harvest. Additionally, the cellar was built to be 100% carbon neutral. A favorite of Eric Asimov of the New York Times, the wines are mentioned every year in his articles on “alternative” Nebbioli, and their Valtellina Superiore Sassella was named the number one wine in a panel convened in March of 2014, reconfirmed in a February 2016 article in which two wines were in the top ten, ahead of some very popular neighboring producers.